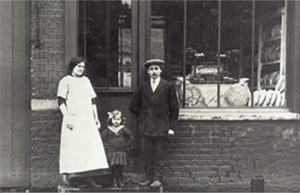 1922 - Oscar Bongard founded his company with the primary object of refurbishing baking equipment that had been damaged during World War I.
Oven construction quickly became part of the original activity. 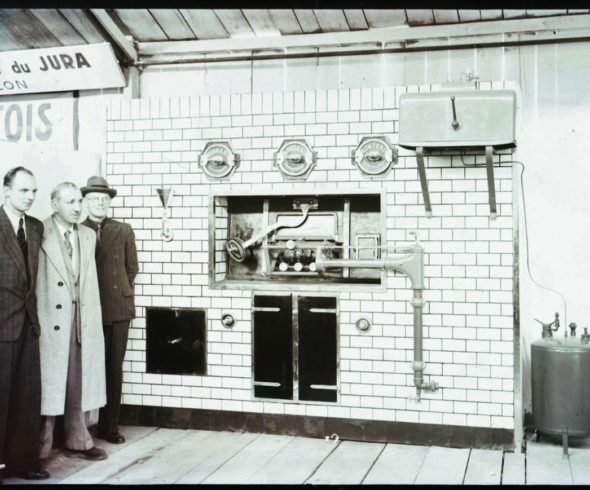 The first patented oven was a brick oven known as "LE FOUR À GUEULARD". 1948 - At the end of the war, Oscar Bongard built a small factory in Holtzheim to expand his premises. It was from this date that the company started to produce ovens made partially and then completely from steel. In the same year, it presented an oven heated indirectly with slightly tilted steam tubes: The Perkins oven. 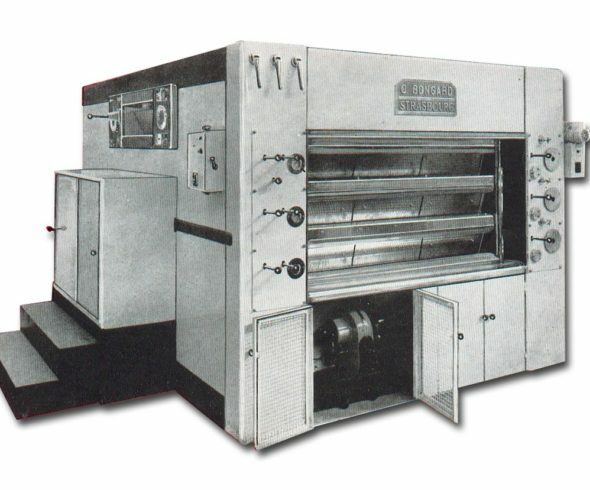 1958 - Bongard developed its steam oven with natural circulation by thermosiphon: the 58. This oven was the first to allow baking on several shelves while offering good heat distribution within the chamber. 3 years later, in 1961, the first ovens fired by recycling combustion gases, the Ambassador ovens, were presented; followed in 1966 by the Super Ambassador ovens with double gas recycling, which was a real revolution in the field. 1967 - Bongard filed an international patent on steam tubes arranged in a loop around a refractory steel hearth. Economical and quiet with high inertia, the Cervap (Cercle Vapeur) was born. 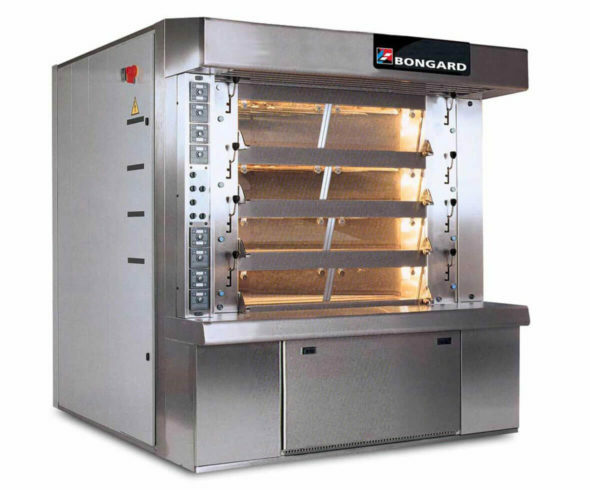 This oven, still manufactured on the Holtzheim site, has contributed greatly to establishing Bongard as a benchmark in the sector of baking/pastry-making equipment. 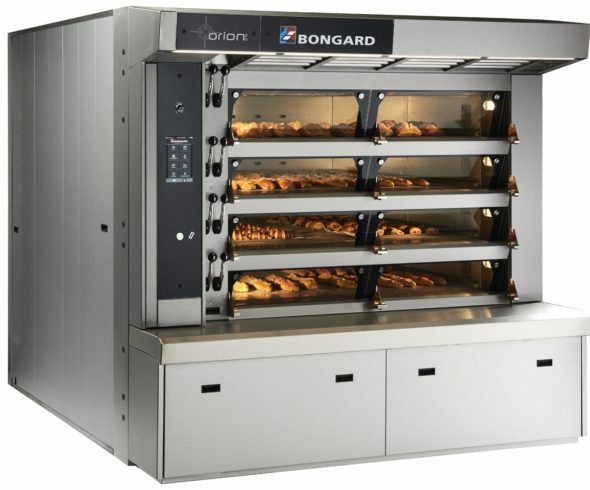 1975 - The first rotary rack oven was manufactured by Bongard: the G1. It was thus possible to bake a rack of 180 baguettes at a time within 24 minutes. 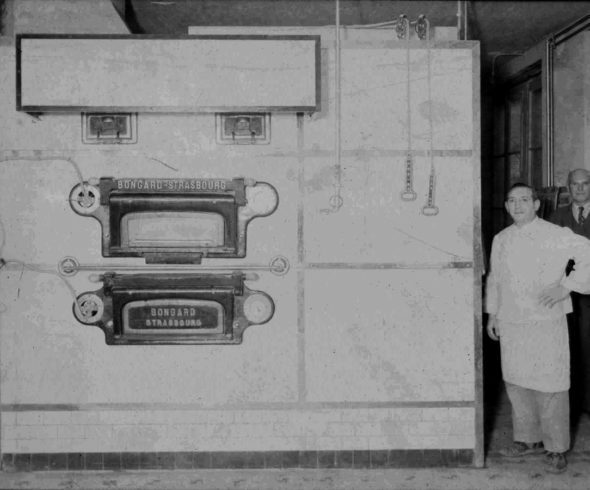 In the same year, Bongard launched the first electric deck oven called Electric. The Electric oven become the ELECTRON. 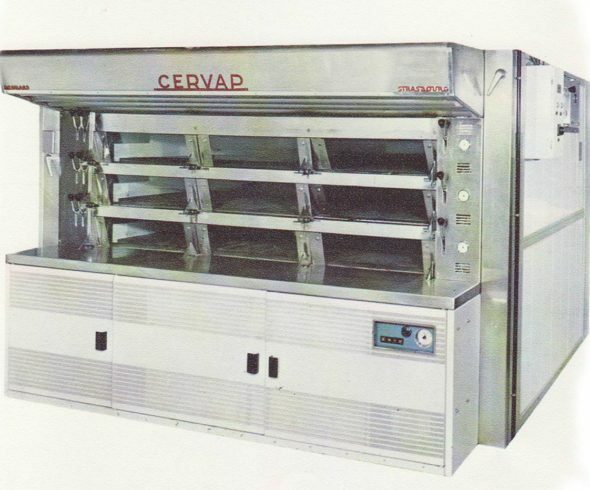 1997 - Launch of the Oscar rotary rack oven which bakes up to 152 baguettes on 19 shelves or 96 loaves on 16 shelves. This oven was awarded the Janus du design prize dedicated to industrial products that use design to improve the user environment. 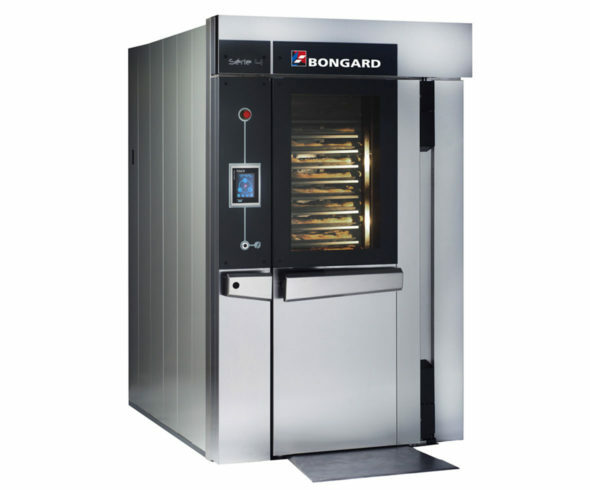 2001 - Saving energy becomes a real concern for Bongard and it decides to create a more energy-efficient oven: the Omega oven and chose to make integrated lifters available on all of its deck ovens. The same year BONGARD joined the AGA FOODSERVICE EQUIPMENT group to form the world leader in equipment and service. This new synergy allowed BONGARD to offer its customers a considerably extended product range. 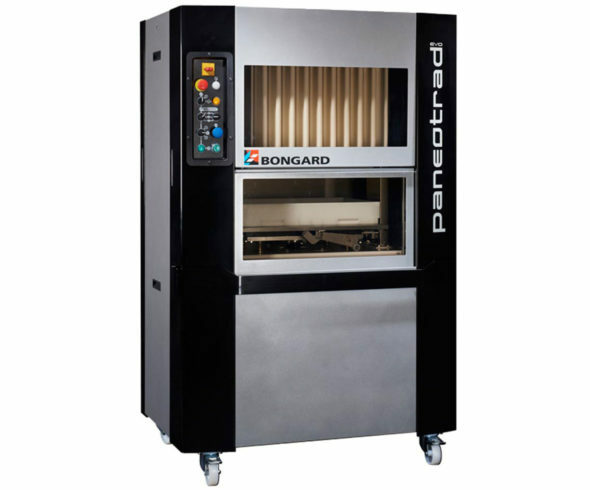 2006 - BONGARD launched PANEOTRAD. The arrival of Paneotrad revolutionised the breadmaking process and the baking/pastry making world, thanks to its unique and patented process allowing gentle dough handling without degassing. 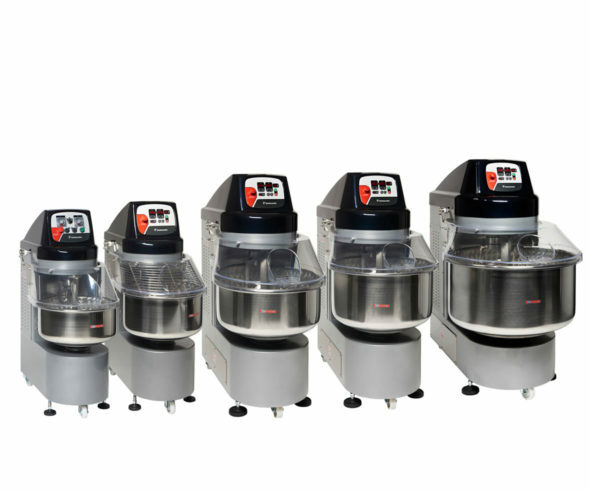 It is fitted with a system which can automatically adjust the pressure applied on the dough depending on its density. This feature can duplicate a shaping by hand. 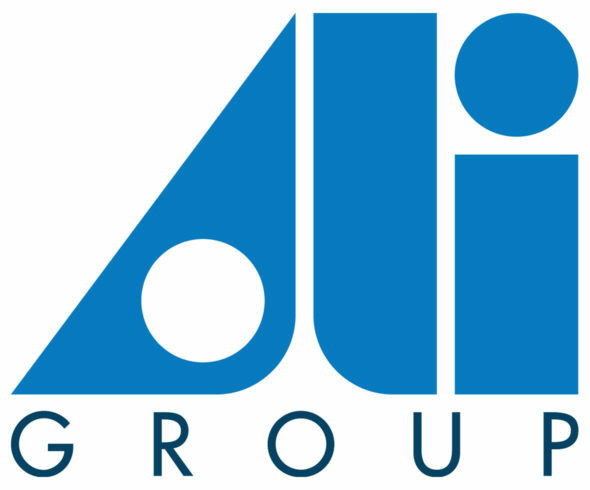 2007 - The English AGA group sold its “Foodservice” division (to which BONGARD belonged) to the Italian group ALI S.p.A.
2009 - Launch of the hydraulic divider DIVIMACH and of the first model of the new rack oven range: Serie4. The BSP blast freezer range grows with the arrival of 2 new models. 2010 - A new area dedicated to the reception of bakers is built in Holtzheim. 2014 - BONGARD presented ORION, the electrical deck oven with a new ROC level (whose innovative design is covered by an exclusive patent), and a new integrated motorized lifter, Lifteo. 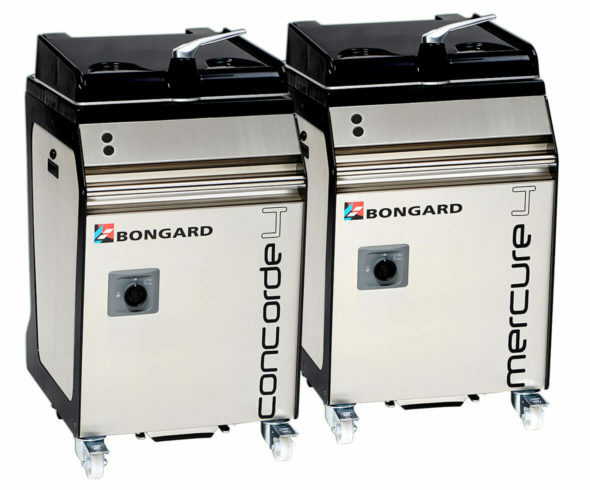 With its new hydraulic CONCORDE 4 and MERCURE 4 dividers, BONGARD resolutely puts the improvement of bakers’ working conditions at the centre of its concerns. 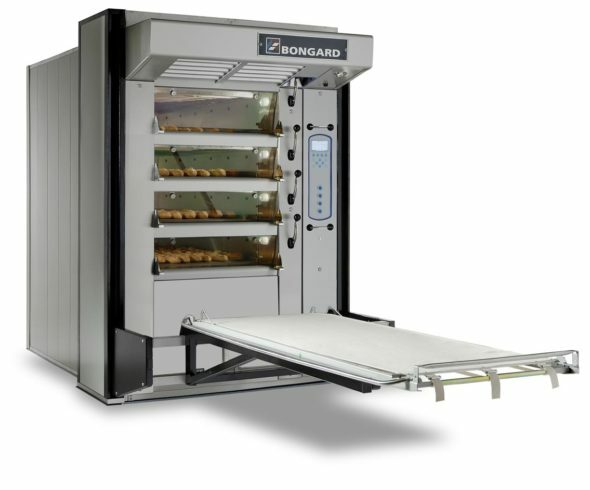 2015 - Always striving to meet bakers’ expectations, BONGARD has changed its hydraulic divider, the DIVIMACH, offering new grids and a new divider system. At the same time, BONGARD presented a new range of single-cell retarder proofer: the BFM. 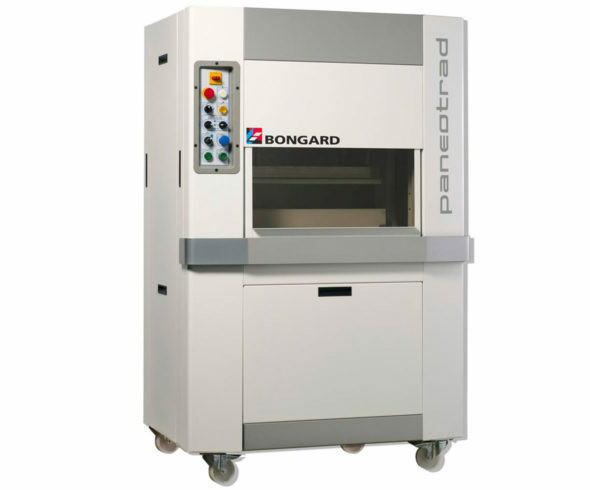 2016 - Bongard launch the new generation of PANEOTRAD EVO. Thanks to its innovative and convenient Dividing & Forming die locking system, Paneotrad® EVO enables forming dies to be interchanged in under 30 seconds. Over 60 different shapes are now possible with Paneotrad® (in a single and a double cutting mode). 2017 - The new "EVO" equipment range is completed with the first model of the new electrical deck oven ORION EVO, the new spiral mixer range SPIRAL EVO, the new dough sheeter range RHEA and the new walk-in cold room range BOREAL. 2018 - BONGARD presented its new 10" innovative control panel with capacitive technology; the INTUITIV2 wich is now available on all the ORION EVO range. A new forming die with "rounded ends" and a new tilting spiral mixer range are launched at the same moment. 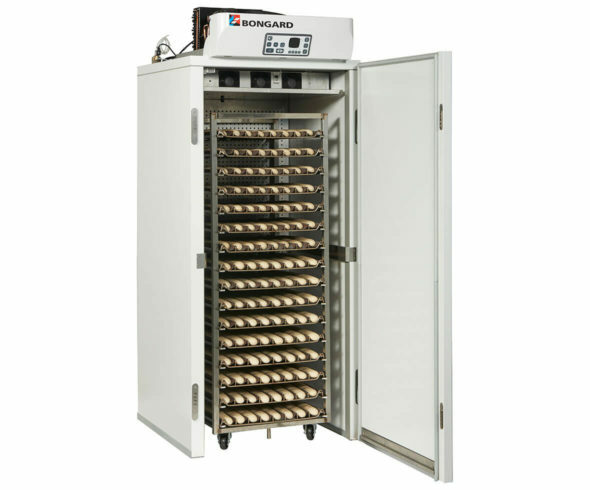 Our wide range of baking equipment, our high performance production units and our innovative capacity make Bongard a privileged partner in the baking and pastry-making sector. Our experience and our know-how allow us to be present in more than 90 countries. 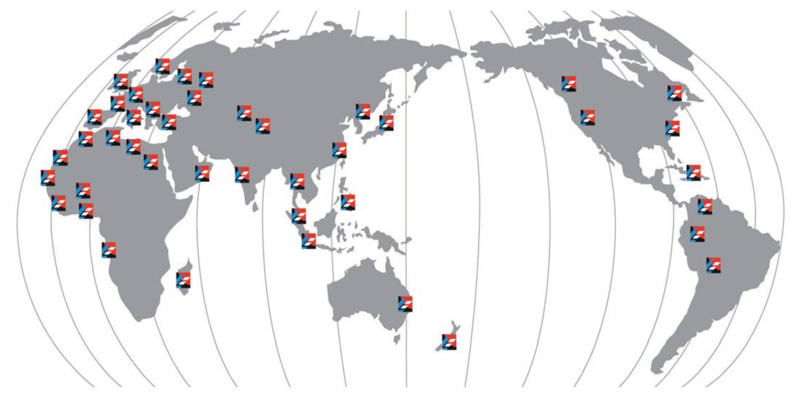 Our reliable references and close-to-home service are particularly appreciated by our customers worldwide. 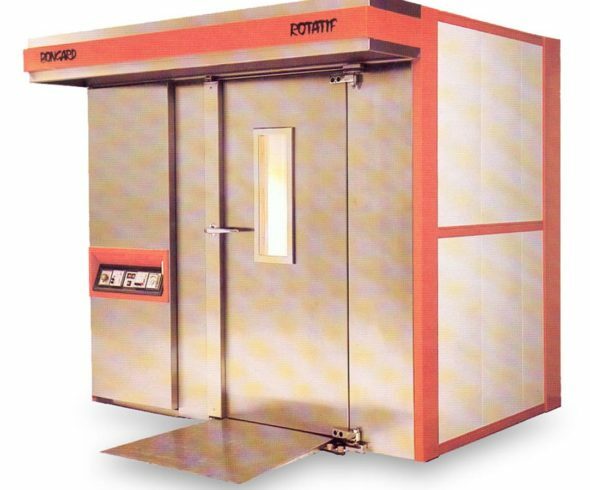 Manual and automatic equipment for small and large productions. Kneaders and dough processing machines. Deck, rotary and ventilated ovens. Proofing, blast freezing and storage units. 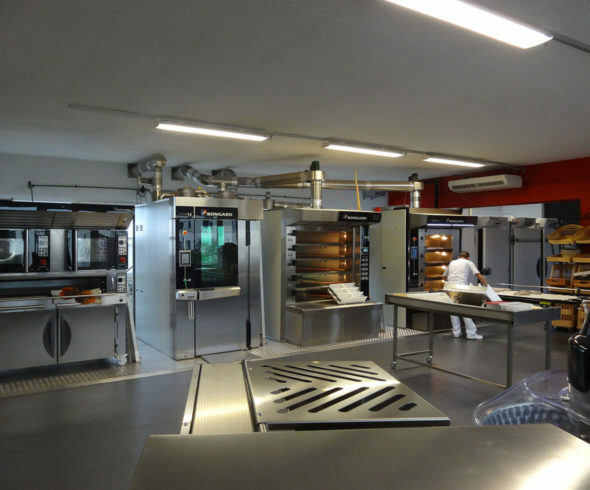 An industrial department for special projects linked to the baking, pastry-making and catering sectors. 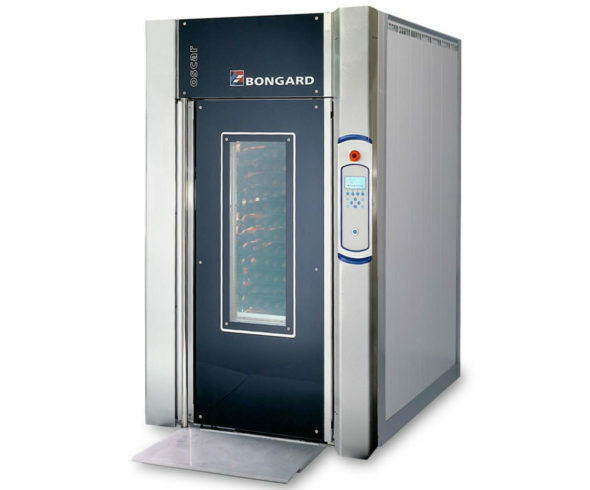 With a network of 350 sales people and technicians in France and 450 sales people and technicians worldwide, BONGARD proves its determination to focus on service quality and receptiveness to customers: around-the-clock, seven days a week, 365 days a year.